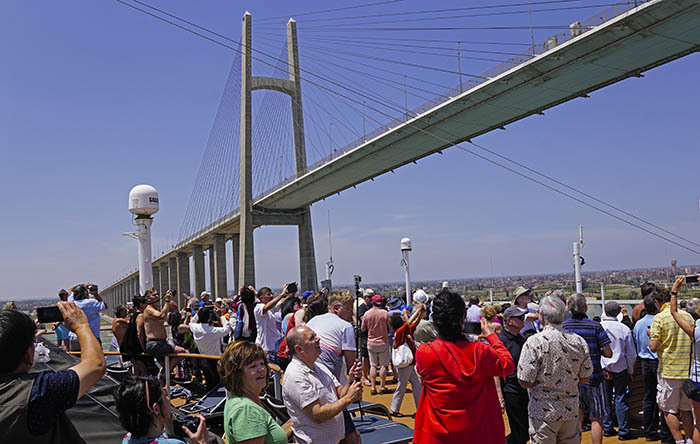 Caption: Cruise ship passengers on the Celebrity Constellation photographing the Suez Canal bridge. Comments: Dennis Cox has photographed in over one hundred countries on all seven continents and in all fifty U.S. states. Each catalog image is legally protected by U.S. & International copyright laws and may NOT be used for reproduction in any manner without the explicit authorization of the respective copyright holders.